Since today is "National Coffee Day" I'm reviewing Thomas Hammer Starry Night Sumatran Coffee. This is my first review of a Thomas Hammer product. By the way, this is another coffee roasted right here in Spokane. Reading the bag, this Starry Night Sumatran is both fair trade and organic certified. 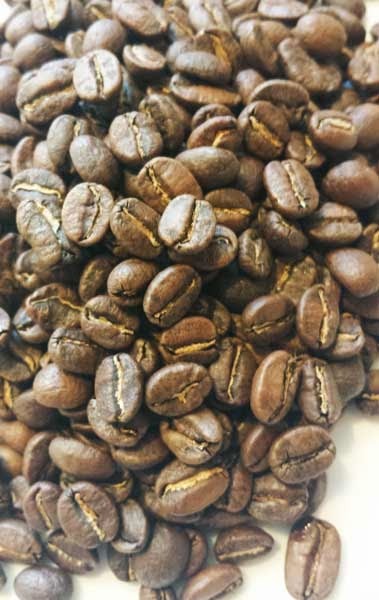 The roast is dark, I would say it's at the Vienna level, according to the Thomas Hammer website, they say this is roasted darker than a normal Sumatran which helps lower the acidity. Let's see what I find. I sampled this Sumatran using two brewing methods, a pour-over and the Thomas Hammer recommended, auto drip. Before grinding, the beans show a bit of oily caramelization on nearly every bean. Checking for aromas, dry there were notes of tree fruit, almonds, cocoa and a hint of charcoal--no the beans weren't charred--and once water was introduce the wet aroma had notes of citrus with warm bread. As the first sips splash across the palate, it has a smooth and syrupy mouthfeel with hints of warm bread and grapefruit as the main flavors, leaving behind a tart citrus aftertaste. While this roast is darker than most Sumatrans I've sampled, this is the first time I have encountered notes of citrus. As the coffee cools, the flavor changes, the sweetness increases, cocoa and caramel become the main flavors while the balance smooths out. Overall this Thomas Hammer Starry Night Sumatran Coffee is a nice roast. It has a complex flavor profile and a nice mouthfeel. Hanging out the other night at Legends of Fire, I had the chance to smoke my first Villiger Cigars Cabareté Maduro Box-Pressed Robusto and I liked it. Here's why. It's box-pressed and it's covered with a dark, nearly oscuro colored, maduro wrapper. There are a couple small veins in the oily wrapper, but for the most part it's rolled on with seamless skill. Holding the cold foot to my nose I could smell notes of cocoa and once the end was cut the free draw had a toasty, chocolate mix of flavors. Once this medium bodied beauty was burning the first flavors were again a mix of toast and cocoa. As it burned on I found other flavors of molasses, cream and chocolate--enough chocolate that I'd call this cigar a chocolate bomb. The seventy-five minute burn ended with a full bodied mix of tasty caramel and black pepper. Overall this was a nice cigar. The burn was a bit wavy, but never needed a touch-up and while the flavor mix wasn't to complex, this was a very tasty cigar. I can say that I will be smoking more of these Villiger Cigars Cabareté's. I've been a green tea enthusiast for the last ten years or so. I started drinking green tea during a weight loss kick and I've stuck with it ever since. However, I'm always on the look out for something better than the standard varieties found on super market shelves. With that said, I'm pretty excited about this sample of Organic Ceylon Loose Leaf Green Tea sent to me by Tattle Tea. Starting with a warm cup and infuser, I added the suggested amount of the long wiry leaves to the infuser, added hot water and let it steep for three minutes. The results; a balanced cup of brisk, light, smooth and slightly sweet tasting, peridot colored green tea. This brew is light and has a natural light sweetness, but I think it's sturdy enough for a bit of sugar, a drop of honey, or a splash of lemon if you take your tea that way. With an origin from Sri Lanka, not known for their green tea's, this Organic Indulgashinna Ceylon Green tea is a rare find. 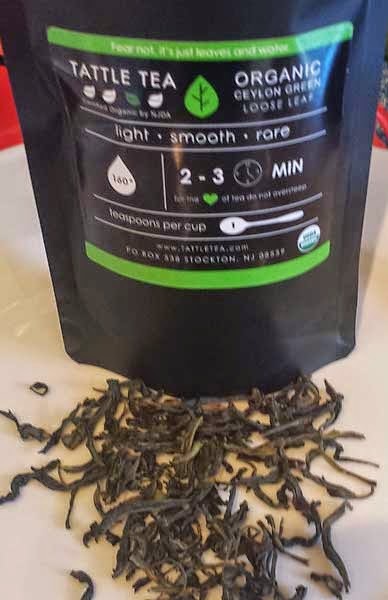 If you're green tea fan like me, give this Tattle Tea Organic Ceylon Loose Leaf Green Tea a try. I enjoyed it a great deal and I think you will too! I would like to thank Tattle Tea for providing this sample for review! If you know me, you know I'm always hunting for acceptable budget cigars. I've smoked quite a few of these JM's Cigars in the past and I think they're pretty good for a sub $5.00 Cigar. Let's see how this JM's Dominican Corojo Robusto smokes out. Like the others, this cigar has a beefy looking wrapper. This Corojo wrapper is Colorado Maduro colored, plus there's some nice sandpaper-like tooth. Sure, it has some pretty good veins, there's a wrapper wrinkle or two but the seams are tight and it's packed well full length. From the cold foot there are aromas of sour cream with chocolate and the end cap is pre-punched. The firm draw has notes of toasty cocoa. So far so good. Once the foot is toasted and burning the first medium bodied puffs have notes of cocoa and dark brown sugar. The cigar puts out a nice volume of smoke and it leaves a dark gray ash. As the burn moves up the cigar, there are other flavors of chocolate, damp leather, toast, earth and coffee. It finished it's forty-five minute burn with a flavor mix of leather and black pepper. The flavor mix isn't complex, but it's fairly tasty and the cigar had a razor sharp burn line. Overall for the price point this was a pretty good cigar. If your looking for a budget cigar or just a knock around yard 'gar I think this one fits the bill pretty well. If the mood strikes you, most of these JM's Cigars are available in the robusto vitola for around $3.00 each from Famous Smoke Shop. In this weeks installment of "Five Questions," we talk to Michael Giannini Of La Gloria Cubana and Foundry Tobacco Company. At Little Smoke 2014, held at Northern Quest Casino, I had the pleasure to meet and spend some time talking with Michael. I would also like to thank Michael for taking time out of his hectic schedule to answer these questions. 1. What led you to create the Foundry Tobacco Company? Foundry Tobacco Company is an outlet for total creativity. Our innovations team and I have freedom to work with unique, exotic, and never used tobaccos and develop distinctive packaging for them under Foundry Tobacco Company. This is an outlet for me to express my creativity in a way that would not have been a fit with the La Gloria Cubana brand. The Foundry Tobacco Company tagline is “Expect the Unexpected” and that sums up exactly what we do. 2. What has been the most enjoyable aspect of creating cigars? The journey of visualizing the concept, creating the blends and packaging, working with great people to make it happen, launching to cigar lovers and seeing people enjoying the final product. A typical week is anything but typical and this is ideal for a creative person like me. On any given day, I am in close contact with all three of our factories. I attend meetings, put out fires, give advice on current and future projects, interact with my colleagues and spend time with cigar lovers at events. Often the day starts one way and ends in another, unexpected way. No two days are alike. Having unpredictable days is one of the things that make my job so exciting. 4. Can you give any hints what may be coming down the pipe from La Gloria or Foundry? I don't often get to smoke a Montecristo Cigar, but these Montecristo Espada Toros just arrived at Cigar Train, so I grabbed one and didn't let go. This is a pretty interesting cigar. Montecristo and Nestor Plasencia teamed up to create a Nicaraguan puro. 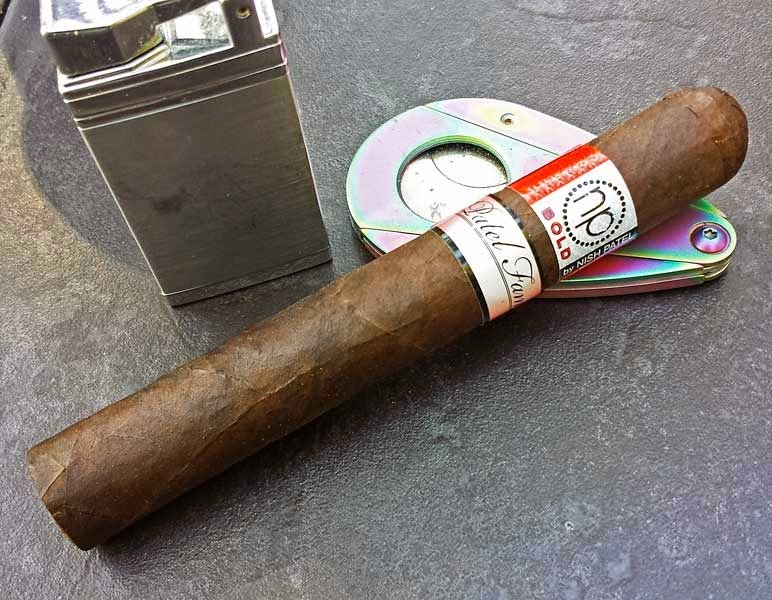 The oily, seamless, nearly vein free, Colorado Claro colored Habano 2010 wrapper covers a blend of Nicaraguan fillers from Jalapa, Ometepe, and Condega. I can't wait to give this stick a try. Aromas from the foot were an earthy blend and the free cold draw had notes of spicy Spanish cedar. Once the Espada was burning the first medium/full bodied flavors were a blend of leather, earth and brown sugar. As the razor sharp burn line moved up the cigar there were notes of Chai tea, cream, coffee, sugar and even a hint of anise. The seventy-five minute burn time ended with a sugary, leather finish. Although the flavor mix wasn't overly complex, this was a great tasting cigar. One thing I didn't mention was the spice. There was pleasant hint of spice full length. Overall this was a great cigar. If you get the chance, give it a try. Over the past three years I've smoked many cigars from Cuban Stock Cigars and so far I haven't met one I didn't like. However this Joya de Havana 6 x 58 Gigante could be another story. In the past I've had limited success with large ring gauge cigars from any maker. Maybe I smoke to fast, maybe not, but many of them tunnel on me. Let's see how how I fare with this Gigante. Simply stated, this Joya de Havana Gigante is a beast. It's covered with a thick, oily, toothy, hearty, Oscuro colored, Habano wrapper. Sure you can see the seams, but they are all tight and there are some smaller veins, yet overall I think this cigar looks great. The free cold draw has earthy tones and the wrapper left a honey-like sweetness on my lips, (the sweet taste from the wrapper lasted the for the entire burn). Once burning the cigar was full-bodied from the first puff. As the razor sharp burn progressed there were nuances of ripe fruit, earth, coffee, leather, mild black pepper, cocoa and even a splash of cream. The burn lasted a full sixty minutes and guess what? This stick didn't tunnel on me, the burn line was crisp full length. If you haven't tried this cigar or any other from the Cuban Stock Cigars line, you really should. 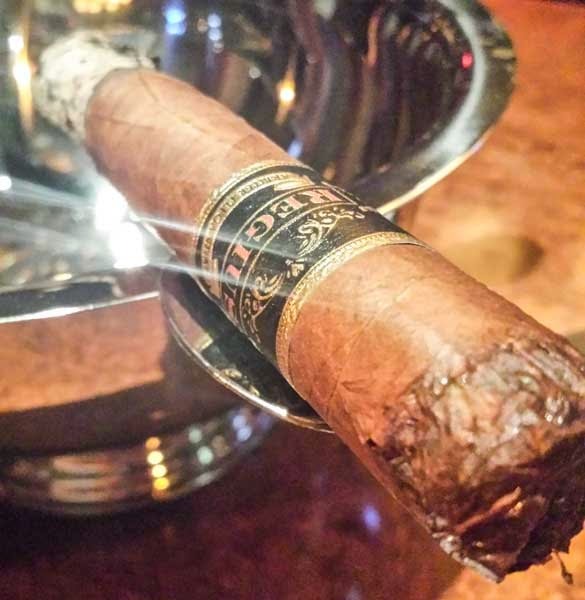 Hanging out last night at Legends of Fire, I had the chance to smoke my first Regius Cigars Black Label Robusto Cigar. Bottom line, I was impressed with this cigar. Read on and I'll tell you why. The Black Label robusto comes wrapped in a seamless and practically vein free, silky smooth Colorado Claro colored wrapper. The free cold draw had mild notes of sweet and spicy cedar. Once the cigar was burning, my palate was hit with a tasty mix of creamy medium bodied leather and cocoa flavored smoke. As the cigar burned on I found nuances of cream, sugar, cocoa, earth and espresso. It finished the fifty-five minute burn with a great tasting mix of coffee, cream and sugar. While I didn't think the flavor mix was overly complex, I do think the flavors were delicious. By mid-way the cigar had developed a rich, oily sheen on the the wrapper and the burn line was even full length. I feel this Black Label line of cigars from Regius Cigars should be on everyone's "to-smoke" list! This Padilla Miami Oscuro Limitado Robusto came my way via a sampler from Cigars International. It's my first time smoking a Padilla cigar so I'm pretty excited to get at it. In the picture, the Oscuro wrapper shows up a bit light in color, but the oily, toothy wrapper was pretty dark. It's rolled on with seamless skill and has only fine veins. Checking the cold aromas, I thought this cigar was pretty unique. To my nose it had the aroma of a well marinated steak. There were no soft spots in the body and the free draw had nuances of sweet fermented tobacco. Once the cigar was burning it produced a nice volume of medium/full bodied smoke with a leathery aroma and it left behind a firm white ash. What impressed me most about this cigar was the complex, constantly changing, flavor mix. One puff would be sweet fruit, the next pepper, toast, nuts, leather, coffee or earth. This complexity continued for the entire fifty-five minute burn. This cigar was a real treat and if you get the chance to smoke one, don't pass it up! I grabbed this CAO Colombia Robusto off the shelf at Cigar Train on my last visit. I've been waiting to get my hands on this cigar since it was released. Here's another case of the band selling me the cigar. This beauty is covered in a silky smooth Claro colored wrapper that's practically seamless and vein free. With the colorful band against the natural wrapper, the Colombia is a great looking stick. From the foot I found an aroma of sweet, fresh-cut hay while the free cold draw tasted like spicy cedar. After putting a match to the foot, the first flavors were a mild bodied mix of sweet cream and a hint of white pepper spice. As the cigar burned on, I found flavor notes of sugar, lots of sugar, more cream, earth, toast, wheat and then some brown sugar. At the end of the sixty-minute burn I was rewarded with an unexpected, but nice oak and leather finish that was down right delicious. The flavor mix lacked any real complexity, but this CAO Colombia Robusto made up for that with a hint of spice full length and mix of solid, great tasting, mild bodied flavors. My opinion? CAO Cigars created another winner with this cigar! That's my story and I'm sticking to it. You can grab a box of these for your very own for just $78.99 from Famous Smoke Shop. This La Diferencia Cubana Churchill came in the Po’ Boy II sampler I picked up from Cigars International a while back. It comes wrapped in a mottled sun-grown Nicaraguan Colorado Claro colored wrapper. The wrapper had a couple folds and a few small veins, but hey, since I only paid a buck per stick, I don't care. From the cold foot there was a mellow toast aroma and after clipping the cap, the free draw had notes of toast, oak and mild black pepper. Once it was burning there were mild bodied flavors of cream, toast, tobacco and sugar. The flavor mix held solid until just below the band when I ran into bold sour cream and fiery, tongue-burning red pepper. That was the end of this stick for me. Overall the cigar had fair flavors until the final third, it had a pretty good burn and it finished as mild as it started. 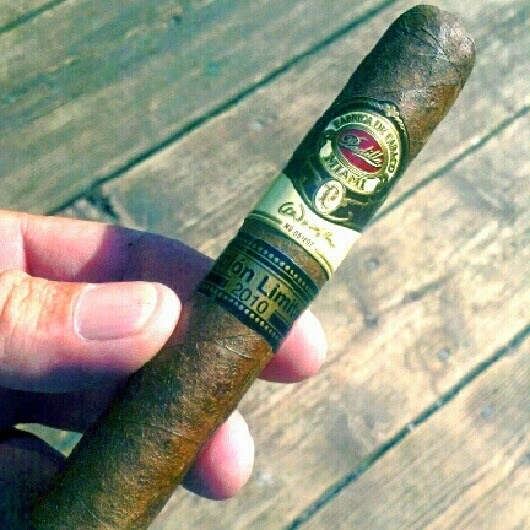 I'd call this La Diferencia Cubana Churchill a fair yard 'gar at the $1.00 I paid for it. I picked one of these up a couple months back from one of the local smoke shops and found it to be a pretty decent budget cigar. This JM's Dominican Churchill comes with the end cap pre-punched, which leads me to believe it's really not 100% handmade, but oh well the label says that it is, so it must be so. Right? Visual appearance of the cigar is nice, the heavy maduro colored wrapper is rolled on cleanly, there are no holes or tears and the stick is firm full length. The free cold draw had a slight notes of tobacco and the wrapper had a mild chocolate taste. I didn't have to cut the cap so once the cigar was burning it produced a clean burn line from start to finish. From the first to the last puff there were medium bodied notes of chocolate, coffee, tobacco and a hint of cream. The cigar wasn't very complex, but it was fairly tasty. For a budget cigar, this is a pretty good sub $3.00 stick. I picked this CAO L'Anniversaire Maduro Box-Pressed Robusto up at Cigar Train the other day. I'd been passing it by for quite a while and decided it was time to try it out. First, this cigar is no where near as rough looking as it is in the photo. It's just a terrible picture. This box-pressed robusto is for the most part, has seamless and nearly vein free Oscuro colored oily wrapper. From the cold foot there was a faint cocoa aroma and once the cap was clipped the free draw contained a spicy flavor mix of black pepper and cocoa. Once burning the cigar produced tons of smoke and some nice medium bodied flavors. I found toast, chocolate (lots of chocolate), raw sugar, caramel, white pepper, leather and espresso. The fifty-minute burn ended with a mix of leather and cocoa. Overall this CAO L'Anniversaire Maduro Box-Pressed Robusto was a pretty nice cigar. It created lots of smoke, It was packed well full length, it had solid construction and a fairly complex flavor mix. Would I buy it again? You bet! 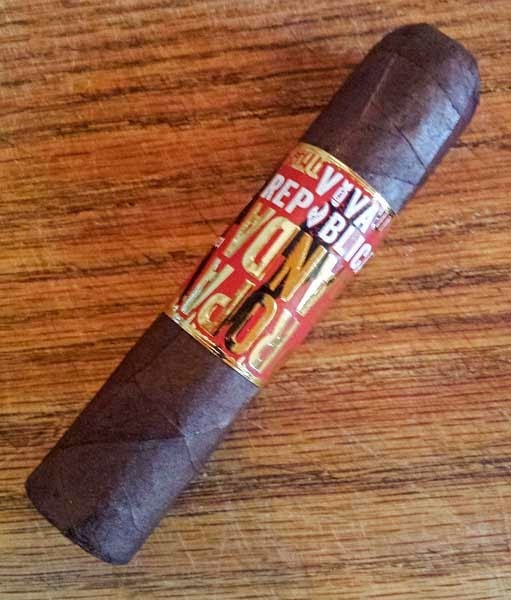 This Viva Republica Propaganda is another cigar from Little Smoke 2014, put on by Legends of Fire at Northern Quest Casino. No need to worry, I only have about twenty more sticks from this event left to review. I'm not really sure if this is a pre-release or not, I couldn't find it for sale on-line so perhaps it is. It's a nice stout little cigar measuring 4 x 54. Covered by a hearty dark maduro colored wrapper. The seamless wrapper itself is oily, it has a few smaller veins and a bit of tooth. From the foot there is a faint aroma of toast. While the draw is a bit tight, but still acceptable, it has flavors of spicy fruit. After the foot was toasted and burning the first medium/full bodied flavors were a mix of cocoa and white pepper. The burning cigar also produced a large volume of smoke. As the burn progressed there were other flavor notes of raw sugar, a hint of anise, brown sugar, leather, barnyard and coca. The sixty minute burn finished with a full bodied mix of caramel and leather. Overall, this was a nice cigar. The burn took off a bit in the first third, but self corrected by the mid point. I feel Viva Republica has another winner in their already great cigar line. I've been drinking this Luxe Earl Grey Black Tea for some time now. It comes in 2 g (.07 oz.) silken bags. I think the silken bags offer a much better flow than the standard paper tea bag. I brewed two samples of this tea for the review. One with a three minute steep, the second with a four minute steep. The four minute steep was definitely to long as it produced a bitter cup. On the other hand three minutes seems perfect. Starting with a warm cup, after three minutes the cupped tea is a nice dark amber color with a light aroma of black tea. The tea is bold and smooth with a medium mouth feel. There is no bitterness or bite and it's delicious without sugar, cream or lemon added. 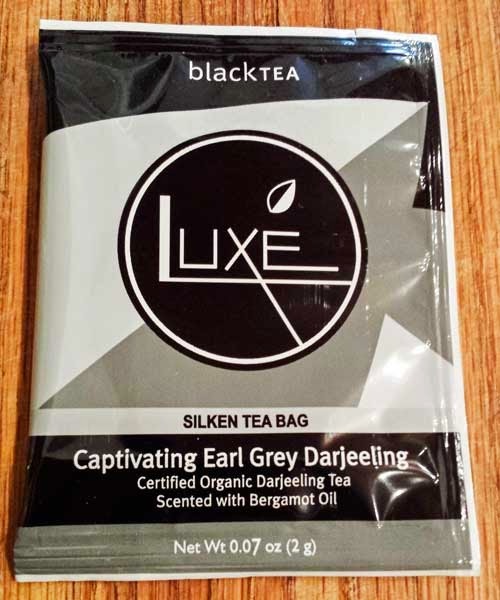 Flavor wise, I feel this Luxe Tea is a great black tea, but it lacks as an Earl Grey. There is little to no Bergamot Orange flavor and little to no spice. 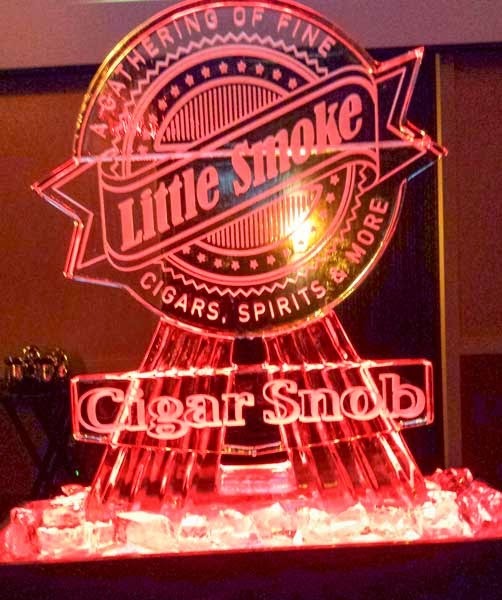 Last weekend was Little Smoke 2014 put on by Legends of Fire at Northern Quest Casino. This Quesada Oktoberfest Kurz was part of the Saturday night cigar package. Covered in an Oscuro colored Dominican Cibao wrapper this cigar looks nice. The wrapper is oily, seamless and practically vein free. From the cold foot the fillers of this Dominican puro there is the faint aroma of fermented tobacco. Once the triple cap is cut, the fairly tight, but acceptable, draw on this 4x50 cigar tasted like mild toast. After a fire is put to the cigar's foot the first flavors were a medium bodied mix of cocoa and barnyard. As the burn moved up the cigar there were nuances of chocolate, anise, sour cream, hay, brown sugar leather and lots more chocolate. In fact this Kurz is pretty much a chocolate bomb for most of the forty-five minute smoking time. The Quesada Oktoberfest Kurz finished with my favorite flavor mix of burnt mocha. Darn tasty! Overall this Quesada Oktoberfest Kurz was a pretty nice cigar. I wish the draw wouldn't have been so tight, but the flavors and burn were great. I'm always impressed with the flavors found in a properly roasted Ethiopian Coffee and this Ethiopian Harar Coffee from Buna Mobile Roasting Company is no exception. 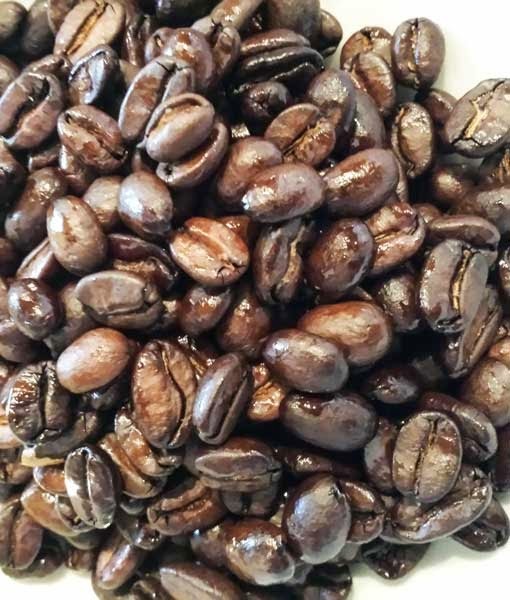 Buna Mobile roasting company is a small batch roaster that specializes in roasting for fund raisers. You can find more information about their charities and fundraising on their website. Looking at the beans waiting to be ground some are at the City roast level while others are City+. 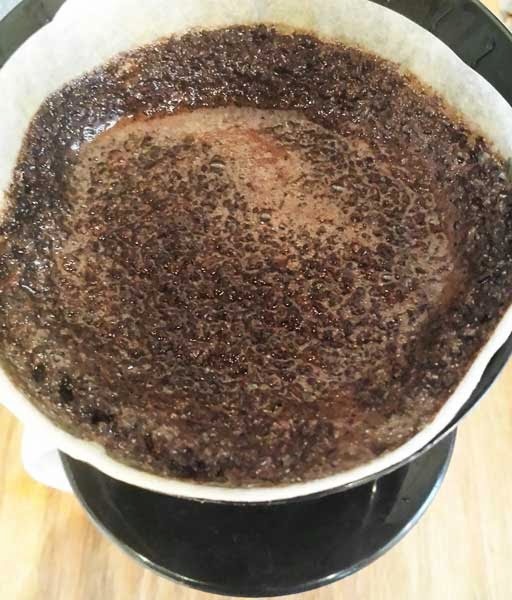 Once ground, the coffee has a pleasant aroma of sweet blueberries and as water is introduced for the pour-over the same sweet blueberry aroma fills the room. From the cup, the first sips are sweet, yet at the same time tart with a full bodied syrupy mouthfeel. The aftertaste is a bit acidic, but I'll call it well balanced because it's supported by the sweet blueberry notes. The flavors are rich, bold and intense. Hot, the coffee tastes like blueberry syrup with a hint of chocolate. As the coffee cools in the cup it takes on a rich chocolate covered blueberry flavor. The natural sweetness in this coffee is remarkable. It's the sweetest coffee I have reviewed. I feel this Ethiopian Harar Coffee would be amazing to sip with a chocolate desert or as an after dinner desert all by itself. The City-City+ roast level seems perfect for these beans. I've had this Room 101 Namakubi Ecuador Ranfla stashed away for a few months now. Over the summer I had the chance to meet Matt Booth at Little Smoke, so I figured I should get on this cigar. This one came from Cigar Train but if you're not in Spokane, Mikes Cigars has them available online. First things first. This Ranfla has a thick, meaty looking Colorado Maduro colored Habano wrapper covering an authentic Corojo binder plus mixed Honduran and Dominican fillers. The pictured cigar looks a bit rough, but those are binder veins and this cigar is all business. From the foot there are faint notes of spice. It's a perfecto there's not much exposed foot. The free cold draw produces notes of spicy cedar, leather and cocoa. Once the cigar was burning it produced huge plumes of smoke, plus an oil line developed immediately on the wrapper. Soon after lighting the cigar I walked into the house to refill my drink, when I came back out I could smell the fantastic cigar aroma twenty feet away. The first medium bodied flavors were a sweet and spicy mix of cocoa, caramel and spicy cedar. Delicious! In the center two thirds there was a flavor that took some time to figure out, it was sweet and it was good, after a bit I came to the conclusion it was French Vanilla. There were other flavors of cream, chocolate, espresso, brown sugar and toasted cashews. The seventy minute burn finished in the full bodied range, with a nice oil sheen on the wrapper and flavors of cocoa mixed with espresso. This was great cigar, it had great flavors, a razor sharp burn line and lots of smoke with a great aroma. If you get a chance to smoke this cigar don't put it off for months like I did. You should visit the Room 101 website, Matt makes some pretty wicked jewelry too! Last weekend was Little Smoke 2014 put on by Legends of Fire at Northern Quest Casino. This Rocky Patel Super Ligero Pre Release was part of our VIP pack Friday night. Rocky explained the blend of this cigar, but I don't hear so well and I keep notes even worse. I do remember that it's a multi-national mix of tobaccos. The Super Ligero is covered by an oily, stout Maduro colored wrapper. For a Maduro it has small veins, with tight, hard to see seams. From the foot the aroma to the nose is sweet and spicy. After clipping the triple cap the free draw has notes of ripe fruit and white pepper. Once the cigar is burning I was amazed at the plumes of smoke it produced. The first flavors were a full bodied mix of spicy white pepper and ripe tree fruit. After a few puffs I could taste some raw sugar in the mix. As it burned on there were other flavor notes of toast, chocolate, espresso, leather and charcoal. The sixty minute burn finished with a full bodied peppery, burnt mocha mix that was quite tasty. As I puffed away on this Super Ligero, I though to myself that it just might become my daily smoker. There is one pretty interesting thing to note about this cigar. Although it was full up front and full at the finish, I thought it smoothed out into the medium body range for most of the burn. Famous Smoke Shop has the Rocky Patel Super Ligero shown on their site for $7.00 as a Robusto, but it's in back-order status. With any luck Cigar Train here in Spokane will carry these. 1.What led you to create your own line of cigars? As a Christian, I believe the idea came from God. I had a thought that wasn’t my thought pop into my mind. It was the idea to start a cigar company. I talked to Chris about it and after talking to our wives about it and praying together about it, we started Ezra Zion. Probably not the typical way a cigar business gets started. 2. What has been the most enjoyable aspect of creating your own cigar lines? Don’t tell him I said this…but the most enjoyable part of having our own cigar company is working with Chris Kelly. He literally is one of the greatest people I’ve ever met. Besides being a great businessman and cigar blender, he’s also one of the best friends I’ve ever had. A brother in every since of the word. I don’t know if there is a “typical week” for us. We spend a lot of time doing events. There is nothing more rewarding than smoking your cigars with the folks your made them for. Because we put a priority on our family time, we try to limit major travel to once or twice a month. We are constantly blending or sampling blends that we have done previously. We put a major focus on quality control so we are constantly checking our cigars, boxes, and bands to ensure that they are exactly as we want them to be. 4. Can you give any hints what may be coming down the pipe from Ezra Zion Cigars? Our next Ezra Zion projects are still in the development stages. We have two goals going forward. 1. To make better cigars than we ever have. 2. Get a cigar at or below an $8 price point. 3. Ezra Zion Tantrum P.A. I would like to thank Kyle for taking time out of his busy day to answer these questions. Thanks! Last weekend was Little Smoke 2014; put on by Legends of Fire at Northern Quest Casino. 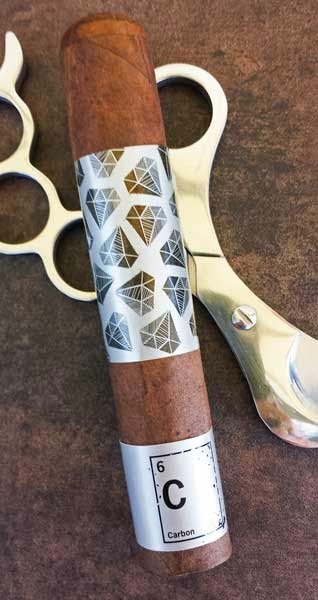 This Elements Carbon by Foundry Cigars, was part of our VIP pack Friday night. I also had the opportunity to meet Michael Giannini from Foundry Cigars and talk a bit. This Carbon is only the second of the Elements line I've been lucky enough to smoke, so I am pretty excited to get at it. It's a chunky beast. Those are the best words to describe the 5.5 x 60 Elements Carbon. The wrapper is nice. It covered in an oily, seamless, nearly vein free, stout Maduro colored wrapper. Looking at the foot, you can see a thick black line that looks like carbon just under the wrapper, it must be some type of Oscuro binder. I thought it was pretty neat looking though. To the nose there was a nice aroma of toast from the foot, while the free cold draw had nuances of toasted nuts. After lighting the Carbon, the first medium bodied flavors were a mix of raisin and earth. As the burn progressed the flavors didn't change much. There were however notes of vanilla, brown sugar tree fruit, oak and leather. Don't get me wrong, this cigar had a very good flavor mix. In my notes I described it as sweet and earthy. The cigar was packed solid full length, it burned for seventy minutes and produced gobs of medium bodied smoke. It was a pretty calm day and the cigar actually produced a cloud of smoke hovering above the deck. That's impressive. If you get the chance give this cigar a try! I thought it was a fantastic cigar. Last weekend was Little Smoke 2014 put on by Legends of Fire at Northern Quest Casino. I'll write more about the event over the next couple days. This Bold By Nish Patel has special meaning. Not only did I meet and spend some time talking with Nish Patel, I met Rocky Patel at the same time. Rocky personally handed this cigar to me just to review. So here goes. Let me tell you, this is one nice looking cigar. 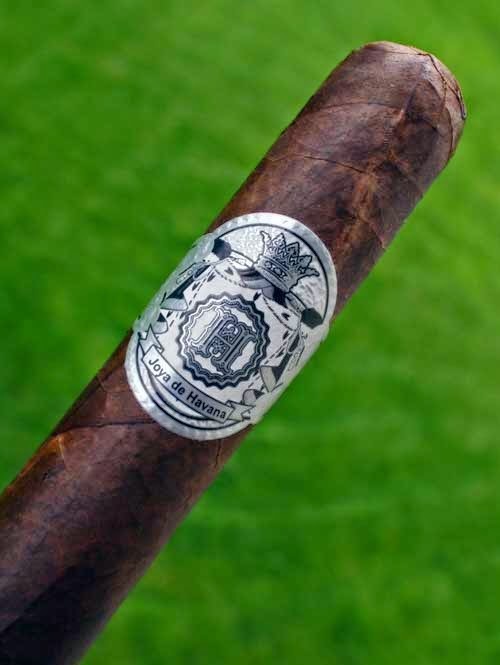 The Oscuro colored Connecticut Broadleaf wrapper covers dual San Andres Mexican and Connecticut binders plus it's packed full of Nicaraguan fillers. It's stout, oily, toothy and has fairly fine veins. You can see in the picture that the seams are hard to find; the construction is that good. Plus, it has a nice triple cap. From the foot of the cold cigar there is a mild fermented tobacco aroma, but don't let that fool you, once the cap was clipped the free cold draw was a bold mix of fruit and spice. After toasting the foot and lighting this stick up, the first flavors were full bodied black pepper and ripe tree fruit. It's also worth noting the cigar produced loads of thick chewy smoke. As the Bold burned on, the complex flavor mix really showed it's stuff. There were notes of brown sugar, oak, toast, coffee, leather, cocoa, dark chocolate, espresso, charcoal and with pepper, lots of white pepper. There was an underlying hint of white pepper spice full length. The sixty minute burn finish with a mix of dark chocolate and charcoal. Very tasty! Overall this was a fantastic cigar. It had a razor sharp burn, a full bodied, complex flavor mix and the pepper wasn't overpowering. I suggest you try this cigar, it's a good one! You can find them online at Famous Smoke Shop for a mere $8.60 each. Last night was the first of two nights for Little Smoke 2014 hosted at Legends of fire. It was a huge success and I will post a more detailed account in the coming days. I am heading back for night two! Here are the cigars and swag from night one! Well I'm a bit sad to say this is the final chapter in the Moscato Cigars reviews. The Moscato Cigars Blunt Robusto Tube Cigar is the third cigar from the prize pack I won a few months ago. I'm not really an infused cigar fan, but these cigars infused with Moscato wine have grown on me. This Blunt cigar is covered with a silky smooth Claro colored Connecticut shade grown wrapper. It appears seamless and contains only very fine veins. It's packed well full length and it has a well done triple cap. From the foot you can smell grape from several inches away and once the cap is clipped the free draw has notes of grape and cream. Once the foot was toasted and burning the first mild bodied flavors were a mix of white pepper, cream and grape. It was pretty tasty combination. After a few puffs the white pepper faded away and never came back. As the cigar burned on the flavor jumped back and forth between tasting like a grape popsicle and a grape creamsicle. There were traditional cigar flavors of sugar, oak, earth and leather that showed up from time-to-time. After sixty minutes the mild bodied Blunt finish with a mix of brown sugar and? You guessed it, grape. Overall this was a fantastic cigar. The construction was spot on, the burn was razor sharp and a nice oil line formed on the wrapper just above the burn. 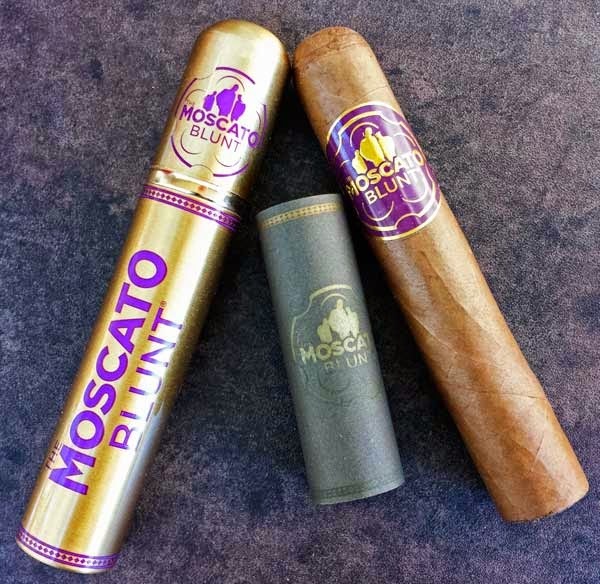 These Moscato Cigars are a bit tough to find but it looks like Bull City Cigar Company has them available online for $9.98 each. 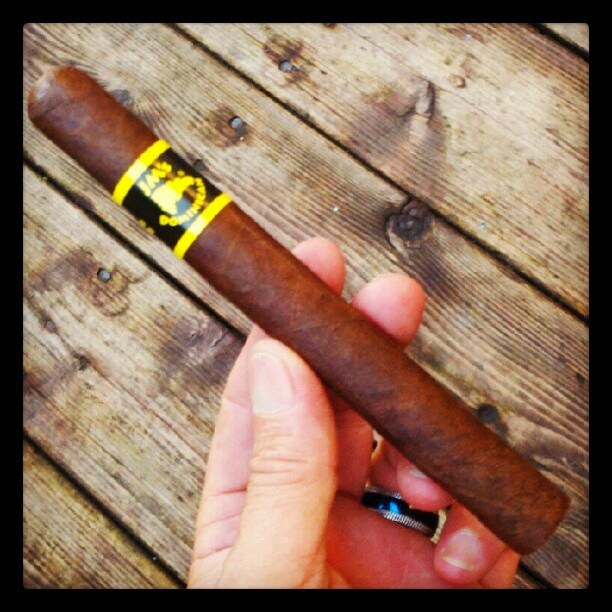 Here's a great looking stick, the MIRÓ Cigars Toro that Cigar Train provided as a sample to review. I don't think Cigar Train carries these but you can pick them up at Famous Smoke Shop for $7.10 as a single. Like I said this is a great looking cigar. The oily Colorado colored Sumatran wrapper is rolled on nicely, it has very fine veins and it even has some fine sandpaper-like tooth. It's packed well full length and the aged Honduran and Nicaraguan fillers give the cold foot a sweet, fruity aroma. After the triple cap is clipped the free draw provides flavor nuances of leather and oak. Once burning the first mild bodied flavors are a mix of leather and brown sugar. The smoke is plentiful, dense and chewy. As the burn moved on there were other flavors of sandalwood, cream--lots of cream--molasses, barnyard and sugar. The flavor mix wasn't very complex but the flavors were balanced and satisfying. After seventy minutes the MIRÓ Cigars Toro finished maybe in the medium body range with flavors of coffee with extra cream and sugar. There was one problem however, the burn. Looking at the foot the bunch was way off center and the burn canoed severely starting about an inch in. In total the burn needed corrected five times. Other than that, this was a great looking, top of the line cigar with a satisfying flavor mix. I would like to thank Cigar Train for providing this sample for review. Like clock work, the first thing I do every morning after Paula heads to work is make myself a pour-over just to jump-start the morning. Well today things were different, I made a cup of tea. Why the change? Keep reading and you'll see why. 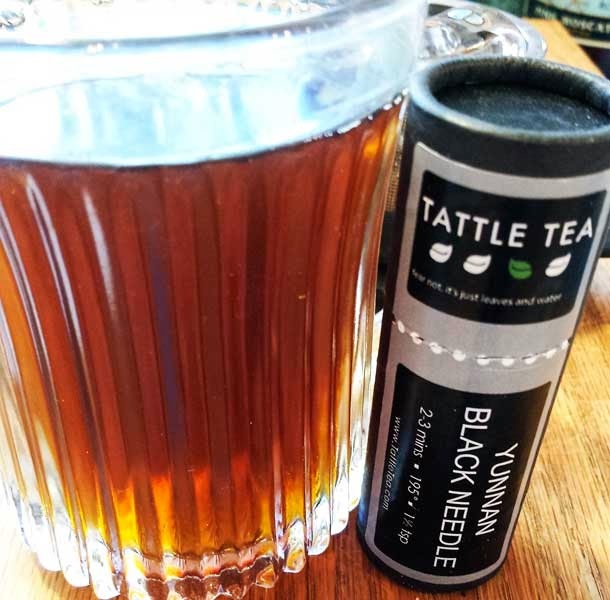 Yesterday, I sampled some Yunnan Black Needle Tea from Tattle Tea. I've never had needle tea before so I was curious to see what it was like. Starting with a warm cup I added 1 1/2 tsp. of tea to the infuser, filled the cup with water just off the boil and let it steep for three minutes. This process created the most amazing tea I have ever sipped. The dry Yunnan black needle had a sweet, yet spicy cold aroma. Once the tea was saturated with hot water the same aroma drifted several feet as the tea steeped. After the three minutes were up I had a great looking cup full of dark amber tea. From the first sip I knew this was a fantastic cup of tea. There were hints of clove-like spice, a touch of citrus and a solid black tea flavor base. As the tea washed across my palate it felt smooth and creamy with a sweet mouthwatering citrus aftertaste. Delicious! These flavors remained until the last drop was sipped. Am I now a tea convert? No, but these fantastic teas from Tattle Tea have really changed my perspective. Today's sample is Guatemala San Pedro La Laguna from the Doma Coffee Roasting Company, in Post Falls, Idaho. If you haven't taken the time to check out the Doma Coffee web site, you really should. Doma Coffee offers some unique coffees with attractive and creative packaging. 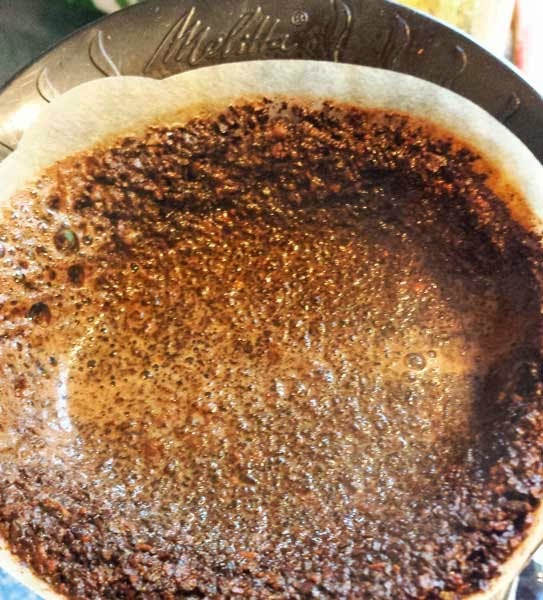 I sampled this Guatemala San Pedro La Laguna buy doing several pour-overs. Intense, bright, crisp and flavorful were the first words that came to mind after sipping this coffee. Once the medium roast beans were ground, the dry aroma was sweet and tart. There were aromas of both sweet caramel plus a touch of lime. Wet, the coffee was again sweet and tart with caramel and lime, but there were added notes of toast. The pour-over itself produced a big frothy bloom from the grounds plus a tart and sweet coffee aroma filled the entire room. From the cup, there were notes of toast, nuts, caramel and lime to the nose. I found the first sips to be bright, crisp and light with a refreshing sweetness that washes across the tongue. The was balance was near perfect supporting the tart refreshing notes of lime. As the coffee cooled, the caramel notes became more prominent and the mouthfeel picked up a bit more syrupiness. Overall I found this coffee to be a good anytime of the day brew. It's complex, with near perfect body, nice balance and intense flavors. I've already reviewed the Chapter 1 & 2 Rival Twins so it's only natural to continue on with the series. I picked this La Gloria Cubana Rival Twin Chapter 3 up on one of my last visits to Cigar Train. Overall this was a nice cigar. It had a tasty flavor mix, a fair burn line and a ninety minute burn time. So far this is my favorite of the three chapters that I've smoked. 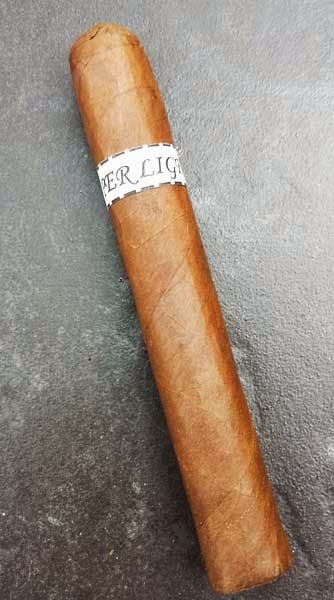 I grabbed this cigar, and a few more, at Cigar Train's, Brick House Cigars event here is Spokane a couple of months back and finally had the time to light it up yesterday. This 6 x 60 double toro is a Nicaraguan Puro covered in a great looking, oily, Colorado maduro colored corojo wrapper that has a bit of fine sandpaper tooth. You can see only very fine veins, the seams are almost invisible and it's packed tight full length. From the foot there's a nice molasses aroma and the free cold draw has sweet notes of fruit. Once the cigar is burning, the first half flavors are a mix of molasses, oak, fruit, black pepper, campfire and toasted marshmallows. The medium bodied smoke leaves behind a sweet, toasted marshmallow aftertaste that lingers. In the second half, the mix turns earthy with near full bodied flavors of earth, leather and peat. The seventy minute burn ends with a smooth mix of earth and leather. Overall the flavor mix was pretty tasty and I really liked the cigar, but I had to correct the burn once in the first third and once in the final third. I picked up the robusto too that day and I'm expecting great things from that vitola. Today I'm trying out the Peruvian cafe Femenino Coffee from the Buna Mobile Roasting Company for a second time. Buna Mobile took the results of the last review, made some changes to the roast and fired off a new sample. This roast came to me full city+ with loads of oily carameliztion on every bean. Dry, there were aromas of toast, coffee and cocoa. Once wet, the ground coffee had pleasant aroma of toasted hazelnuts. From the cup, the coffee was heavy with a deep rich syrupy mouthfeel. There were complex flavors of earth, toast, cocoa, toasted nuts and hints of sweet tangerine. There was a fair amount of natural sweetness in the roast and I found the balance smooth and silky, with a clean cup. I have to give a "well done"! And a well earned 90 rating on this batch of Peruvian cafe Femenino Coffee. If you get time check out the web site for the Peruvian cafe Femenino Project. What they are trying to do is pretty neat. 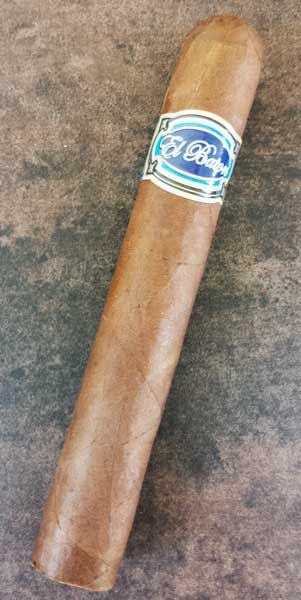 This sample provided by Cigar Train is the first chance I've had to smoke a CLE Cigars product and this CLE Cuarenta Robusto is a superb looking cigar. The well packed Honduran fillers and binder are covered with a silky smooth Colorado claro colored Honduran habano wrapper. The wrapper itself is oily, nearly vein free and was rolled on with near seamless perfection. From the free cold draw there are flavor notes of toast and nuts. 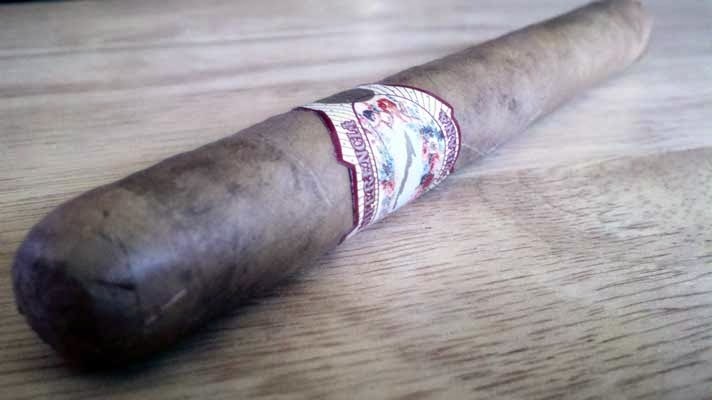 As the CLE Cuarenta Robusto burns, it produces a nice volume of smoke and has medium bodied flavors of toasted marshmallows, black pepper, toast, nuts, raw sugar, oak, leather and caramel. The fifty minute burn ends with a nice oil sheen on the wrapper and flavors of toast mixed with white pepper. A very tasty cigar! Like I said, this was my first CLE cigar and to be 100% honest, I was impressed. 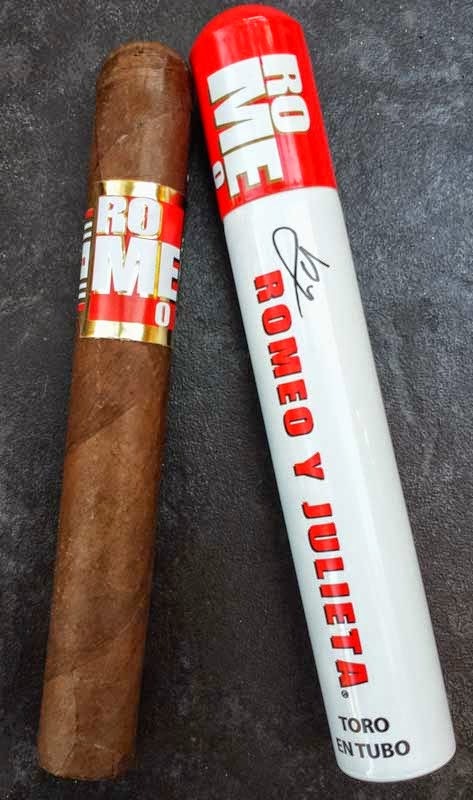 If you're like me and haven't tried these cigars, you should! I've never had the chance to smoke a La Palina cigar before this one. Boy, have I been missing out. 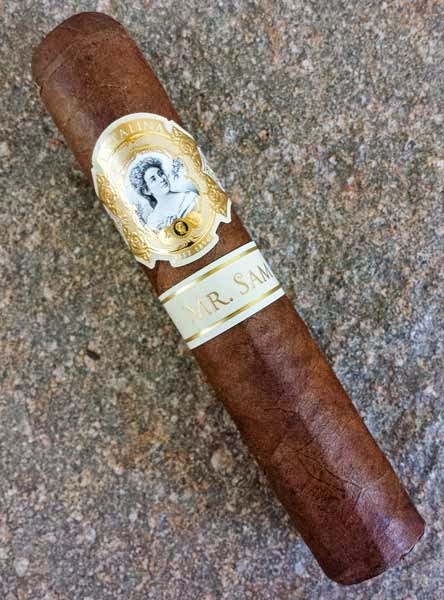 At $12.99 this La Palina Mr. Sam Robusto is a bit on the pricey side, but it turned out to be worth every penny. Here's what I found. The Mr. Sam is wrapped in an oily, nearly vein free, Colorado colored Ecuadorian wrapper. It's packed firmly full length and the seams are almost invisible to the eye. Checking the cold foot there's a nice fermented tobacco aroma, while the free draw tastes both sweet and spicy at the same time. Once the cigar is burning there are flavors of toast, cashews, sweet, spicy Spanish cedar, caramel, sweet cream and vanilla. It also produces a large volume of chewy, medium bodied smoke. As the Mr. Sam burns, a deep oily sheen develops on the wrapper and after a satisfying sixty-five minutes, the cigar finishes with a great mix of coffee with cocoa. Overall, I thought this La Palina Mr. Sam robusto was a fantastic cigar. It had over-the-top construction, flavors and burn. If you haven't had the chance to try this cigar yet, I think you are missing out. I've wanted a scale to accurately measure coffee for my reviews for quite a while now. Finally I decided on the WeighMax Digital Kitchen Scale W-2810. This WeighMax scale comes with a feature set that I really like, mainly the bowl. 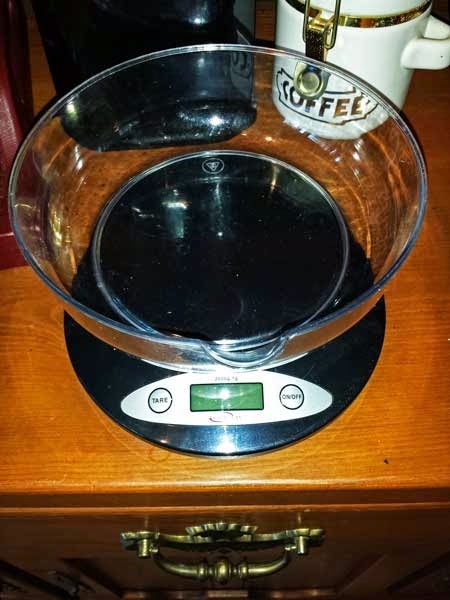 The bowl is automatically tared allowing me to measure out a coffee sample and pour it right into the grinder without doing any math for the bowl weight. It works up to 2kg or 4.4lbs, its accurate to 1g/0.1oz, it has an auto shut-off feature, and the LCD display has a back-light so it's easy to read day or night. Four, AA batteries is all it requires for power and since there's no power cord I can easily move it when needed. Overall this is a great product that's not only helped with the consistency of my reviews, it's made life easier! Well times change so I'm switching gears just a little. Nearly everyone in the house smokes hookah and after months of fighting the urge I finally figured why not try it. 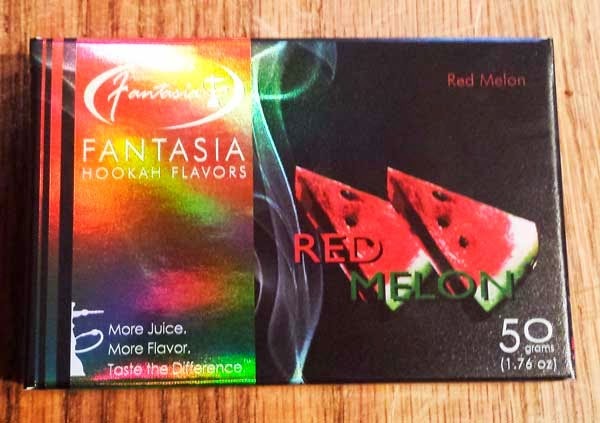 This is my first review and it will probably take a few to get up to speed but this is what I found with this Fantasia Hookah Flavors, Sweet Watermelon. I eat lots of watermelon, about one every two days all summer, but I don't care for watermelon flavored products. That means I was expecting this sisha to be just another watermelon product I didn't like. Well I was wrong. This shisa had almost a true watermelon flavor. It was smooth, mild and sweet with a long lasting aftertaste that lasted nearly thirty minutes. I see buzz mentioned in other reviews, but I smoke some of the world's strongest cigars, so buzz isn't a factor for me. This Fantasia Hookah Flavors Sweet Watermelon was tested in a two-hose hookah with foil and a full quick light coal. Since this is the first review, I'm not giving a rating until there is something to compare it with, but I liked it and would recommend it to someone that enjoys sweet and mild. I've previously reviewed the Joya Red by Joya de Nicaragua in the toro and short Churchill vitolas, but I think this robusto is my favorite of the three. Why you ask? I think at 5.2 x 50, it's just the perfect sized medium bodied cigar. Again this Joya Red Robusto has flawless construction. The silky smooth, oily, Colorado Claro colored habano wrapper is practically vein free and barely shows a seam. From the cold cigar the foot has notes of spicy tea as does the free draw. 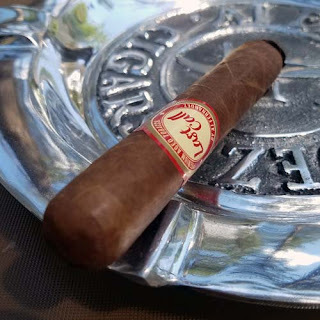 As the cigar burns there are flavors of hay, black pepper, black tea, sweet tea, oak sweet cream, brown sugar, espresso, earth, a hint of pecan and caramel. 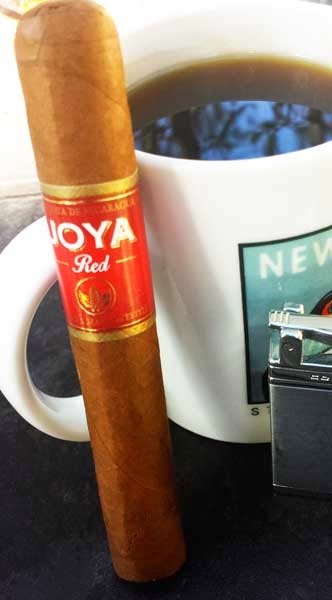 After fifty-five minutes the Joya Red finishes with an nice medium bodied mix of sweet cream and toast. With a $5.75 price point as a single I think this Joya Red Robusto is a real winner! I've always been a fan of English Breakfast Blend Tea, but until now I've never really found a good one. A few weeks back Tattle Tea sent me this, and a couple other, sample to review. 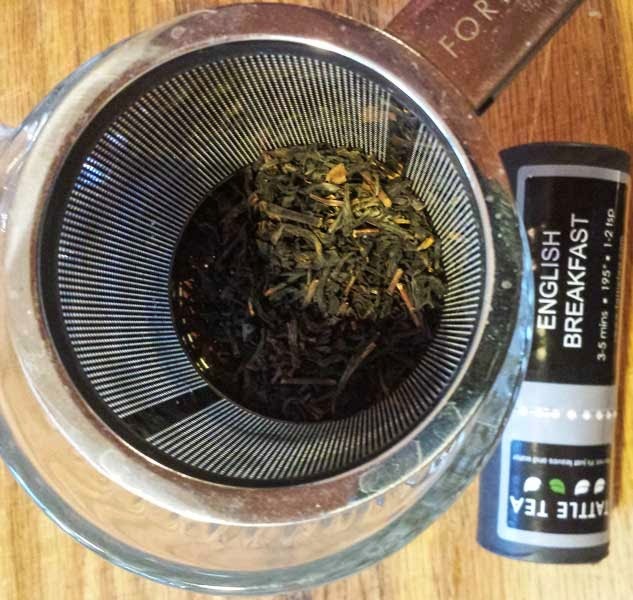 I've always purchased tea in bags, but I'm pretty excited to try another loose tea in the ForLife infuser I reviewed a few days back. Once the sample size canister is open there's a blooming aroma of black tea with a hint of clove spice that you can smell quite well at arms length. After infusing 1-1/2 ounces tea for four minutes, the results is a liquid that's a cloudy, deep caramel color with bold aromas, it looks like weakly brewed coffee. The radiating aroma from the cup fills the room with notes of black tea plus a hint of cloves. If this English breakfast blend tastes as good as it smells, it should be fantastic. The first sips are bold, yet crisp with a strong complex tea flavors. It's sweet and leaves my mouth watering for more. I do notice a slight spiciness in the sweet aftertaste tying it in to the aroma. As the tea cools, the spice fades and the tea has a slightly heavier mouthfeel. There's no bitterness or sourness in this sample like can be found in the past grocery store versions I've tried. A blend of Chinese and Sri Lankan black teas, this English Breakfast Blend Black Tea would make an excellent substitute for someone wanting to replace their morning coffee. 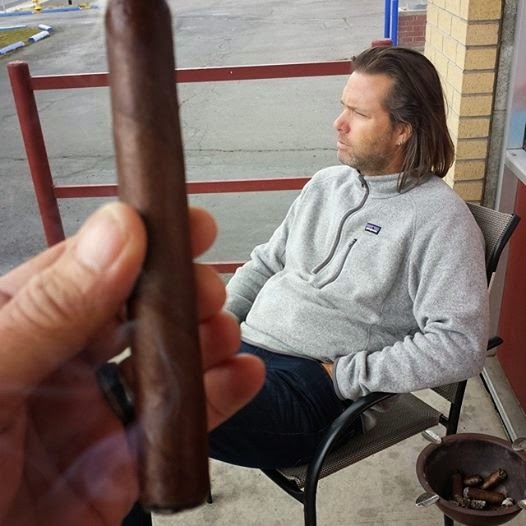 A couple months back I had the chance to hang out for an afternoon with +Fred Rewey (Godfadr) at Cigar Train, here in Spokane. While we were talking he handed me a yet-to-be-released C-276 to smoke. This version wasn't exactly the final version (it wasn't box pressed) so I chose not to review it. However, it was a great cigar! I picked up the released version of this cigar the other day and couldn't wait to get the review published. 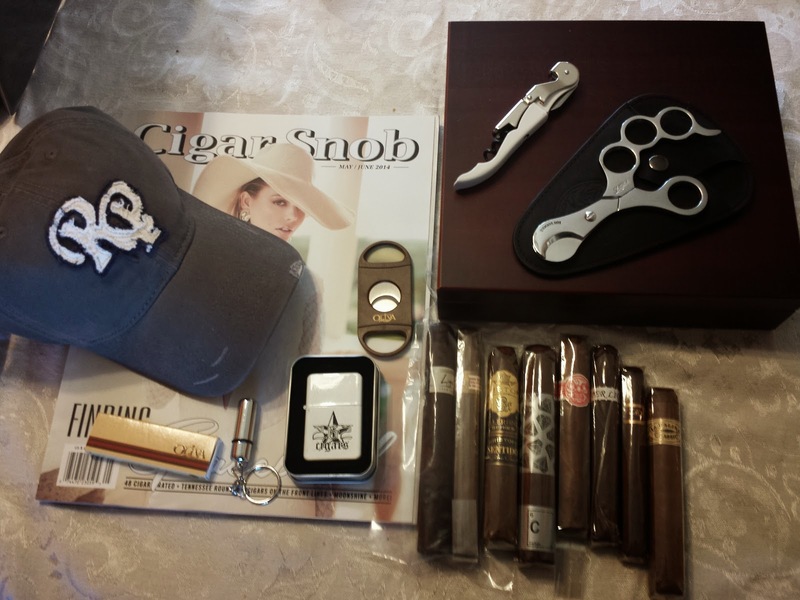 Here's what I found and my thoughts on the Nomad Cigar Company C-276 Robusto Box Pressed. First, yes it's box pressed. It's covered with an oily Ecuadorian Habano Oscuro wrapper that's pretty much vein free and it's rolled on with seamless skill. From the foot there is a faint aroma of black tea, while the free cold draw can only be described as sweet and spicy. Once the foot was toasted and the cigar was burning, I was hit right in the mouth with three strong blasts of full bodied black pepper. Those weren't very fun, but they soon gave way to flavors of ripe tree fruit, toast, chia tea, earth, leather, flora, cocoa, espresso, cream, molasses and charcoal. It was a very complex and tasty flavor mix. 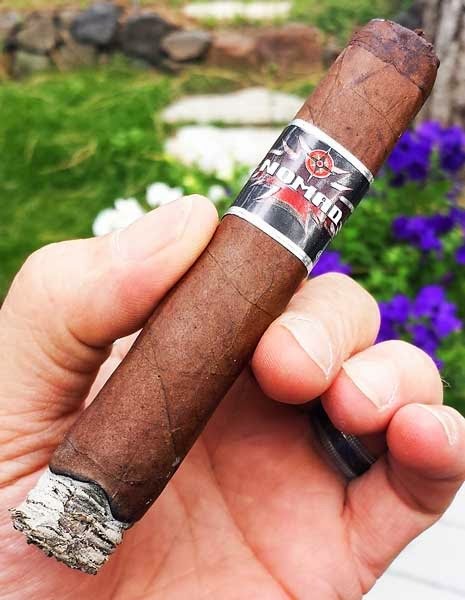 Overall the cigar had a razor sharp burn line, a great tasting, complex flavor mix, a sixty minute burn time and a nice light spice that was always present but just below the surface. If you haven't smoked this cigar yet, you should run right out and get one!